Cambridge Solar only use the best solar inverters manufactured by the worlds leading manufacturers. We have spent many years finding the most productive, high quality and reliable solar inverters with the best UK based technical support. This makes sure your system is always performing at its best. Our four manufacturers are listed below, each are suited for slightly different systems and conditions. 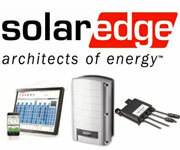 Solar Edge are manufacturers of high quality, premium range inverters capable of optimising systems on a panel-by-panel basis using their unique technology. An excellent range of high quality, reliable & products. Find out more. 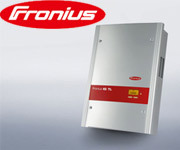 Fronius are an established and well respected Austrian manufacturer of solar inverters with an excellent range of high specification, efficient and ultra-reliable inverters. This is our most popular 'traditional' string inverter. Find out more. 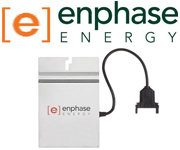 Enphase is the worlds most efficient and popular microinverter. They offer great yeild, reliability, warranties and data monitoring. Find out more. 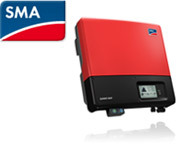 SMA, manufacturers of the popular Sunny Boy series are a leading brand of solar inverters. An good range of high quality, reliable & proven products. Find out more.